After a six-month absence, Sen. Bernie Sanders (I-Vt.) returned to the U.S. Senate on Monday to cast his second vote of the year. And his third, fourth, fifth and sixth. At issue were a series of proposals to strengthen the nation's gun laws. 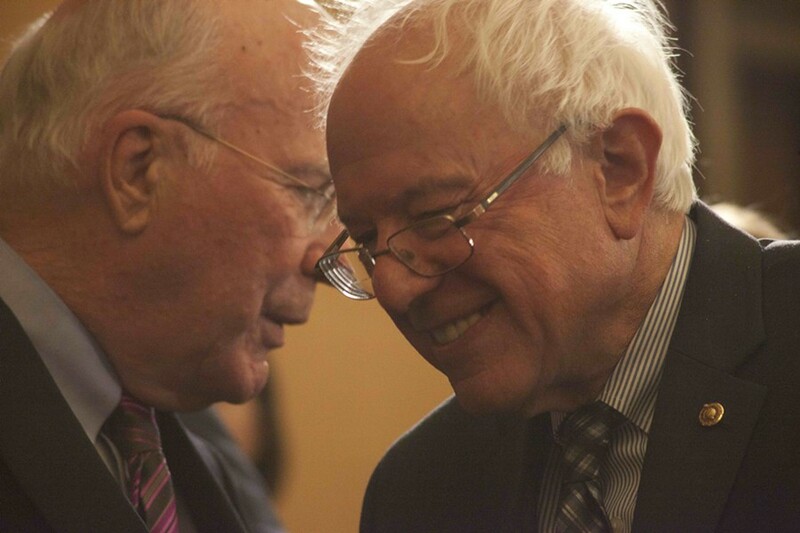 Like his district-mate, Sen. Patrick Leahy (D-Vt.), Sanders supported measures that would bar those on federal terrorism watch lists from buying firearms and require those engaging in private sales to undergo federal background checks. 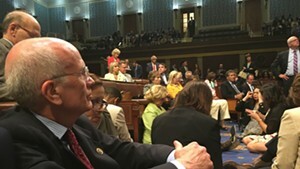 The pair opposed a Republican proposal to delay for 72 hours the purchase of firearms by those on terrorism watch lists. All of the measures failed. For Sanders, who has been busy campaigning for the Democratic presidential nomination, the votes were his first since January 12. According to GovTrack.us, Sanders missed another 19 votes last fall. The senator declined an interview request, and a spokesman did not respond to questions about his long absence. In a statement issued by his Senate office, Sanders cited last week's mass shooting at a gay nightclub in Orlando, Fla., in explaining his votes. "Frankly, these Democratic amendments are no-brainers," he said in the statement. "It is incomprehensible to me, and I believe to the vast majority of Americans, as to why Republicans would oppose them." Leahy delivered a floor speech Monday afternoon responding to an open letter penned by Burlington High School student Ella Staats and published by the Young Writers Project. In the letter, the rising junior called on Leahy to "please, please do something" about gun violence. "Something big," she continued. "I hope the votes that I cast on your behalf tonight demonstrate that I hear you and I agree that we must act to prevent the next Orlando," Leahy responded in his remarks. "Ella, thank you for doing that — for speaking out and for holding us accountable." Leahy may not find a great deal of opposition to his position on gun rights from Republican rival Scott Milne. In an interview earlier Monday, the Pomfret travel agency president said that while he was opposed to new gun laws at the state level, he was open to them at the federal level. "Vermont doesn't have a gun problem," he said. "But I think it's becoming more and more apparent that America has a gun problem." Milne said he was willing to consider banning certain assault-style weapons and making federal background checks universal. "I'm open to seriously looking at changes to gun laws at a federal level to help prevent things like wackos getting guns and killing a whole bunch of people," he said. "So if it's possible to do that and be compliant with the spirit of the Second Amendment, I think it is possible."